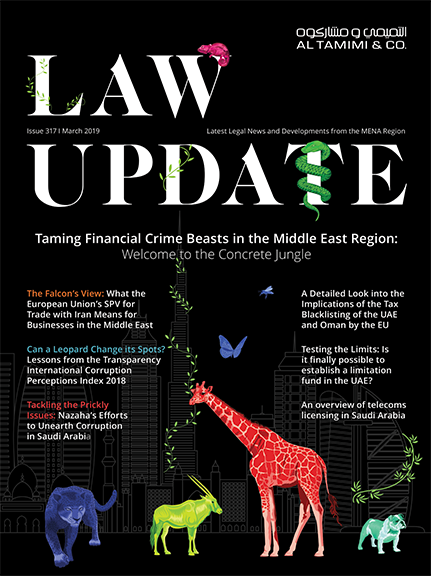 In a development long-awaited by the international arbitration community, Saudi Arabia (the largest economy in the Middle East) has recently enacted a new arbitration law in Arabic, running to approximately 26 pages. The law consists of 58 articles and the overall structure and layout is based on the UNCITRAL Model law. The law does not distinguish between local and international arbitration. and provides the rules and platform to govern arbitration in Saudi Arabia, including the enforcement of foreign arbitral awards. The law however makes reference to the fact that when it comes to any agreement on arbitration, the application of foreign law and any other process in relation to this law (including the enforcement of a foreign arbitration law) must be in conformity with the Sharia law. References to the Sharia law principles are made in a number of sections of the law, but the law overall demonstrates a strong and clear commitment by Saudi Arabia to the process of arbitration, and in particular a recognition of the international arbitration process in its modern form, as based on the UNCITRAL Model law. 1- It emphasizes the importance of properly serving the other party in the arbitration and provides guidelines on how this service should be carried out either through mail or to the address provided in the arbitration agreement. 2- It provides that the arbitration agreement must be in writing, however this could be satisfied by an exchange of letters or emails or by reference to another agreement to be incorporated or form part of another agreement in which arbitration clauses are incorporated. 3- The law however provides that in relation to government departments no arbitration clause may be agreed unless prior approval is given by the Cabinet of Ministers unless a specific law provides otherwise. 4- The law clearly recognizes that the court will have no jurisdiction to hear any matter in which the parties have agreed to arbitrate and if a defense is raised (before discussing the merits) in any court proceeding, the court will stay the proceedings and refer the matter to arbitration. 5- The law provides for the qualification of arbitrators – he or she must be an adult, of good conduct and must have a degree in Sharia or in law and if there are more than one arbitrator such a condition must be met by the chairman of the tribunal. 6- The law provides for ways in which the arbitrators will be selected and appointed. It is no different to the common international procedures where the parties appoint their own arbitrators; however reference is made to the fact that in case the parties do not agree on an arbitrator or the chairman, they will be appointed by the court. 7- The law is silent about the gender, nationality and the religion of the arbitrators which confirms that the law has adopted a new and modern stance towards these aspects; reference in the law is made to arbitrators in general and not specifically to males or females. 8- The law also provides that if challenges are made to arbitrators such challenges can only be made in narrow circumstances and must be made first to the tribunal within 5 days. 9- The law also provides that the arbitrators will decide on their own jurisdiction or whether there is a valid arbitration agreement or whether the agreement is wide enough to include the matters in dispute. 10- The law specifically provides that the arbitration clause is to be considered independent of the agreement and that the invalidity of the agreement will not invalidate the arbitration clause. 11- The law also provides that, unless the parties agree otherwise, the courts in Saudi Arabia will be free to make any urgent provisional measures that a party applies for (either before, during, or after the arbitration). This would mean that the parties could agree to give such power exclusively to the jurisdiction of the arbitration tribunal in the arbitration agreement. 12- The law creates the unusual requirement that on the appointment of the arbitrator a contract must be entered into between the arbitrator and the parties setting out the arbitrator’s fees and the terms of the engagement. The implementing regulation of this arbitration law will prescribe where this agreement should be filed; if no agreement is reached on the fees the court will assess the arbitration fees. 13- The law allows the parties the freedom to agree on and apply particular rules and particular processes during the arbitration, including the incorporation of the rules of international organizations. Thus the parties can agree their own procedural rules independently of some of the processes stipulated in the law. However those rules must not be contrary to the Islamic principles of Sharia. 14- The law provides that where there is no agreement on law or on procedure, the arbitrator may decide on the most suitable law and procedure for the dispute. 15- The law provides that the parties may agree on the application of foreign law or for the arbitration to be held in Saudi Arabia or abroad. 16- The law provides that the arbitration language can be Arabic or any other language agreed by the parties, or indeed a multitude of languages. It is for the parties and for the tribunal to determine what documents are to be translated. 17- The law stipulates some procedures regarding how notices in respect of the arbitration should be given, what documents and information should be included in the notice of the arbitration, when and how the response should be sent, and the fact that either party may amend their claim provided it is done in such inappropriate timing as the tribunal may determine. It also states that the tribunal will hold a hearing and will summon the parties unless the parties agree otherwise. 18- The law provides that the arbitration tribunal will minute a summary of the hearings which the witnesses and the expert should sign when attending and the representatives of the parties should also sign; each party will get a copy of the minutes unless the parties have agreed otherwise. 19- The law also provides that if proper summons are served the arbitral tribunal may proceed with the case and render an arbitration award in absentia. 20- The law provides that the arbitration tribunal must apply, taking into consideration the Islamic principles of Sharia and the public policy of Saudi Arabia, the law agreed between the parties, the process agreed between the parties and the best principles, and usages and the common practice that is applicable to the nature of the transaction. 21- The law states that where there is an even number of arbitrators and there are differences between them so that there is no agreement on the final award, they must then ask to appoint within 15 days another arbitrator to decide on this case and if this is not agreed by the parties, the court will assist the arbitrators in reaching a final decision. 22- Arbitration awards must be rendered within 12 months from the date in which the arbitration started but the arbitration committee may extend the time for an additional six months unless otherwise agreed by the parties for a longer period. If the arbitration award is not rendered during this additional period, either party may request the court to grant an additional period or to terminate the arbitration proceeding and for the parties to proceed to court. 23- The arbitration award must state the date of the arbitration award; the place where it has been issued; the name and the address of the parties; the names of the arbitrators and their addresses and their nationalities; a summary of the arbitration agreement; a summary of the submission of the arguments made by the parties; the documents filed therein; a summary of the experts reports; and the final decision and finally the fees of the arbitrators and who should be responsible for them. 24- The arbitration award in its original form (and a copy in Arabic if it is in another language) will be filed with the court to be legalized and notarized if issued by a foreign jurisdiction. 26- The law provides that once the arbitration award is final it can only be challenged on particular and narrow grounds, most of which are similar to those provided under the New York Convention and the UNICITRAL Model law. This will apply even if the arbitration award was contrary to the public order though it is likely that if the arbitration award was contrary to the public order or the fundamental principles of Sharia, that the challenges will succeed in challenging the arbitration award. Challenges must be brought to the court within 60 days from the date on which the arbitration award was served on either of the parties. 27- No party may relinquish their rights to challenge the arbitration award for invalidity in advance of the arbitration award being delivered. a. The original arbitration award. b. If not in Arabic, a translation of the arbitration award duly notarized. c. True copies of the arbitration agreements. d. Proof that the arbitration award was filed according to this process with the court by the tribunal. It is evident that this new arbitration law improves considerably on the existing practice in Saudi Arabia and shows that the country has made tremendous movements towards endorsing a modern framework for international arbitration. Whatever small criticisms might be made of this law (for example its slight deviations from the UNCITRAL Model law in some areas) overall its provisions and structure are extremely good, and to the comfort of the international community will provide Saudi Arabia with an arbitral regime that is in favor of enforcing foreign arbitration awards. The law is currently available in Arabic.